Funny as hell. But, as is often the case with comedians, there's problematic stuff too. Tiffany Haddish had me at Girls Trip -- I mean, when she stole the movie from Regina Hall (who I've loved since she played Brenda in the Scary Movie series) AND Jada (who I've been watching for decades; I rewatched Jason's Lyric on a weekly basis for months when I was 16) AND Queen Latifah (no background necessary, right?!)... well, I knew Tiffany had "it." So The Last Black Unicorn would've had to be terr-i-ble for me to not enjoy the experience. Listening to the audio version is for sure the way to "read" this book. Be warned: it's raunchy; it's nasty; yes, it's even offensive. But it's hilarious, heartbreaking, joyful, painful... and did I mention hilarious?! 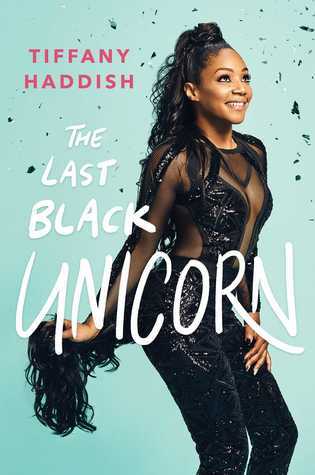 Sign into Goodreads to see if any of your friends have read The Last Black Unicorn.